There is a lot of Ninjak projects coming out in 2017. First there is the event Rapture, then comes Ninja.K in November and there is also a live action webseries called Ninjak vs the Valiant Universe. With all of this coming out 2017 should be renamed the year of Ninjak. One cool thing about all of these is that they each have their distinctive flavor and do not seem to tread on the others toes. 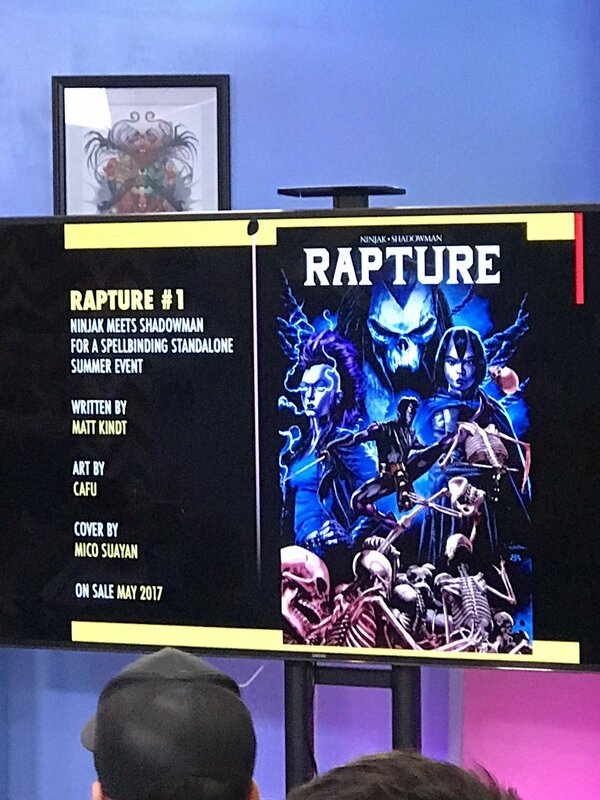 Rapture is a limited series that unites Ninjak with Shadowman. It will test Ninjak's practical skills in a mystical environment of the Deadside. An addition to Ninjak and Shadowman a variety of other characters will be featured that include a new old Barbarian character who is a resident of the Deadside.A being known as Babel will be trying to enter the Aliveside and that breach could threaten all of existence. Warned of this threat the Geomancer Tama will reach out to Ninjak to create a group of heroes to take down Babel before its too late for everyone. 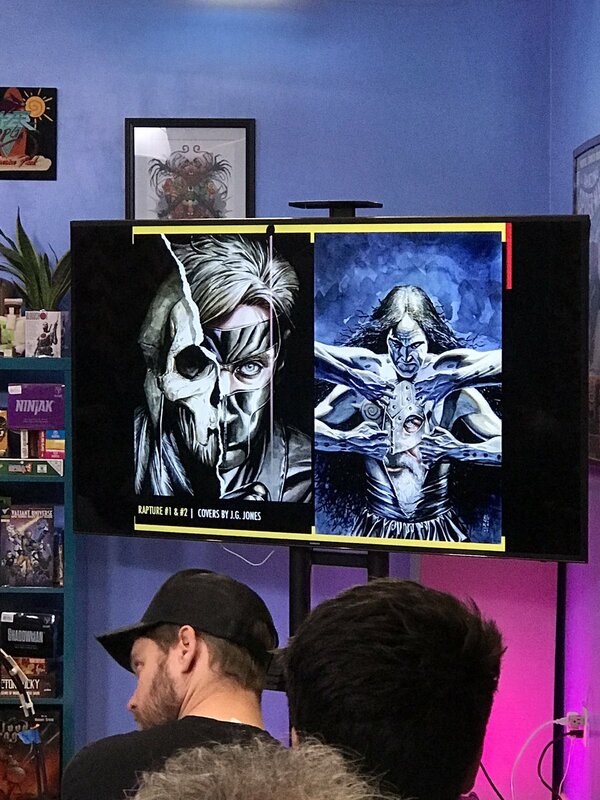 Valiant will begin releasing some variant of comics that feature the actors from the upcoming Ninjak vs the Valiant Universe. Rapture has one such cover featureing actor Michael Rowe as Ninjak. Rapture is coming to shelves near you in May 2017.